Enter the name of the selection list. Show the list of options for this selection list. Add a new option to the list. Move the selected option up. Move the selected option down. 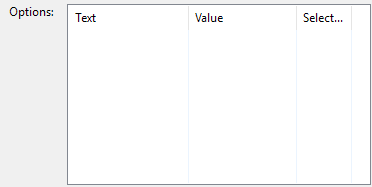 Select this option to allow selection of multiple items. 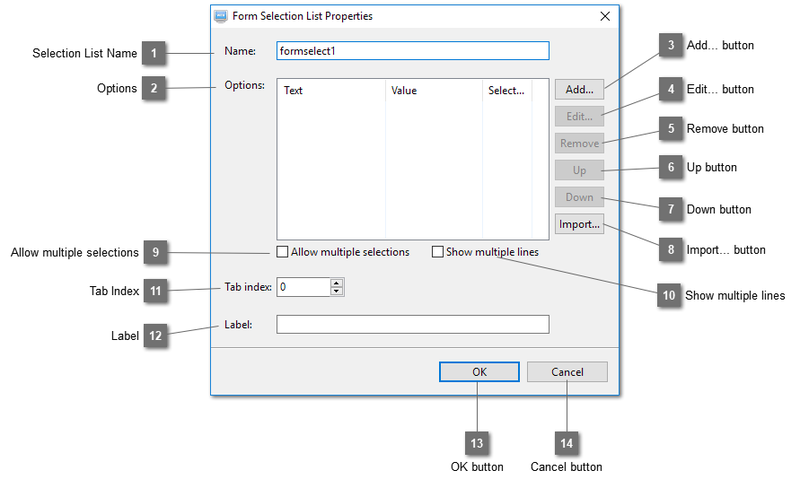 Select this option to show the selection list in multiple lines. Set the tab stop of this selection list. Enter the label of this selection list.